Email* A valid e-mail address is required. "Beautifully written, thoroughly researched, spiced with stories and a unique combination of humor and intellect. Peter challenges his readers to do everything they can to fuse IT and the rest of the business." "Read this book if you are interested in repositioning ‘the department previously known as IT’." 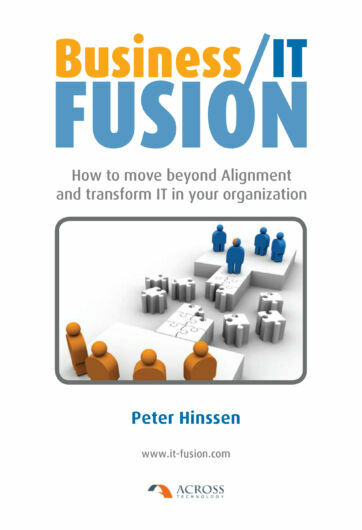 "Business/IT Fusion belongs on the bookshelf of every CIO as well as every leader who aspires to transform the IT department." "Business/IT Fusion hits the nail right on the head. It is a great mental journey on how to move beyond mere alignment thinking, and really transform IT into a true business asset."